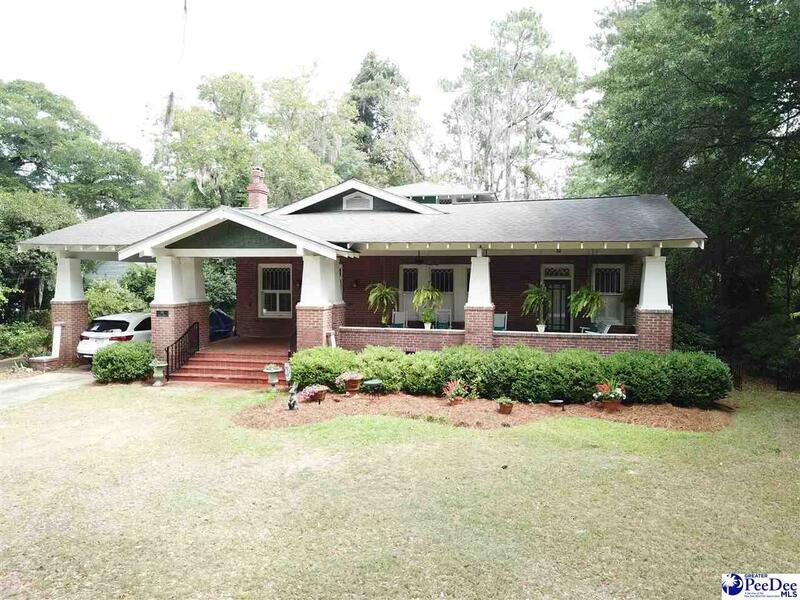 Gorgeous Craftsman home with a front porch you will want to live on. Located in the Historical District of Darlington this home is over 100 years old and has all the charm that comes with this era. Coffered ceilings, original hardwood floors and windows, and most of the light fixtures are original. But, don't worry about modern amenities because this home has them all. 3 bedrooms, 3 baths, very large master bedroom with walk in closet, over 3400 sq. ft, 1/2 acre lot, and storage building. Interior Features: Hardwood Floors, Master Bdrm Down, Shower, Attic, Pulldown Stairs, Walk-In Closet, Wash/Dry Cnctn.